In a medium bowl, whisk together the flour, baking powder, salt and pumpkin pie spice and set aside. In a large bowl, beat together the sugars and butter until light and fluffy. Blend in the pumpkin puree, and then beat in the egg and vanilla until they are well combined. With the mixer on low, add in your dry ingredients that you whisked together earlier. (You may want to do a little at a time so that you don’t get flour everywhere). Make sure to mix until it is completely combined. Preheat oven to 350 degrees and line a baking sheet with parchment paper. In a small bowl, combine the sugar and cinnamon. Using an ice cream scoop, place scoops of cookie dough in the cinnamon sugar mixture and coat the outside. Then place the cookie dough on the baking sheet allowing 2 inches between each scoop. Lightly flatten with your hand and then bake for 8-12 minutes or golden brown. 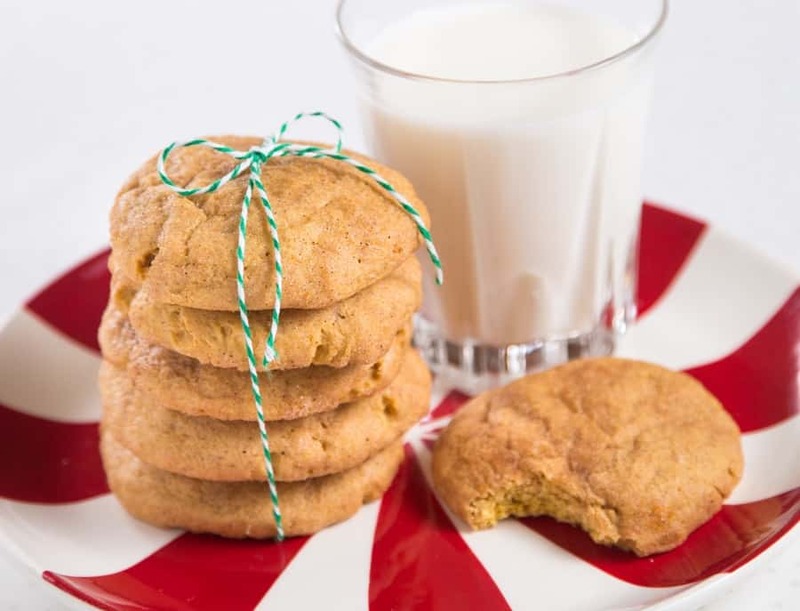 Allow the cookies to cool completely on a wire rack before storing in an airtight container.